Carowinds has Relocated Sky Flyer. 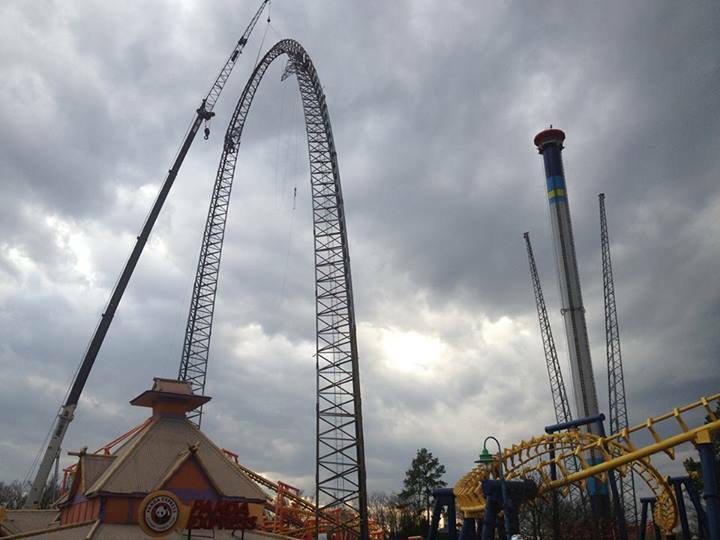 As predicted, Carowind's Park has relocated the "Sky Flyer" attraction to another area of the park. This picture, posted up on their Facebook Page shows the attraction in it's new location- Between Nighthawk and Flying Ace Arial Chase. The relocation is part of the massive work currently going on at Carowind's with their influx of budget for the 2014 season.